They are gearing up for another holiday scam. Do not take up their offers as they will send you dodgy links and misleading information. This is especially critical as people will be relaxed after fulfilling dinners and heavy drinking. So if you get an email or text message offering you a ‘too good to be true’ promotion, you’re right it is too good to be true and they will take your money. Do not think that their customer service will do the right thing, it is part of their marketing plan to rip off their customers via this scam. Ladbrokes are truly Ladcrooks and they do not deserve rewarding for bad behaviour which includes charging customers for having accounts with them. 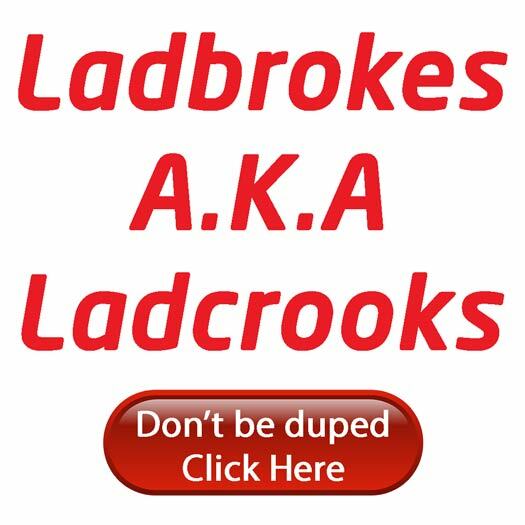 PokerKnave's Blog accounts, bookmaker, Ladbrokes, ladbrokes is ladcrooks, ladcrooks. permalink.